40 Years On, A Controversial Film On Islam's Origins Is Now A Classic : Parallels The Message, released in 1976 and starring Anthony Quinn, was made with difficulty and condemned by hardliners. One of the challenges: its main character, the Prophet Muhammad, could not be pictured. 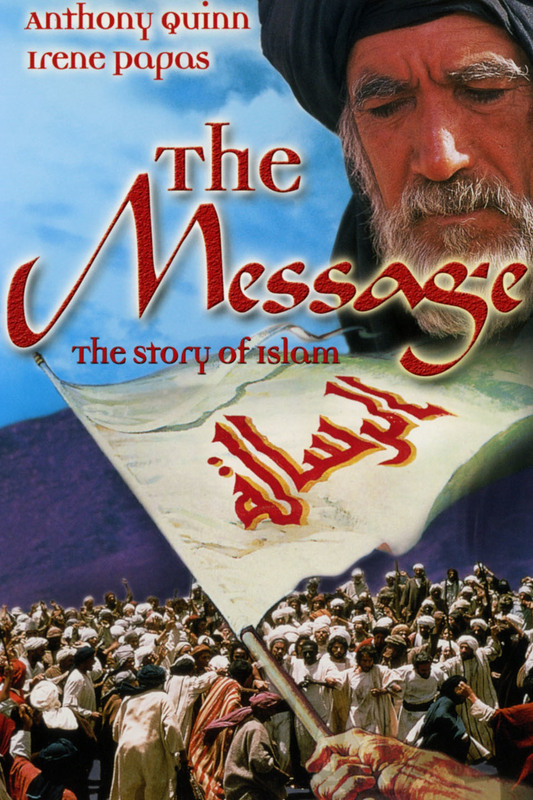 The Message, directed by Moustapha Akkad, was released in 1976 in both English and Arabic versions. The film was difficult to make and faced a backlash in part of the Muslim world. It is currently being restored by Moustapha Akkad's son Malek for a high definition rerelease. In 1962, a Syrian-born Hollywood filmmaker named Moustapha Akkad watched the epic film Lawrence of Arabia, directed by David Lean. Akkad was riveted as he watched a scene in which actor Omar Sharif emerges from the sands like a wraith on horseback — an Arab screen hero. "To me," Akkad later recalled, "the scene that I admired most in my life is David Lean's scene when Omar Sharif was introduced. I was so moved by that scene, and I tried to really kind of do similar." Akkad embarked on an ambitious quest to create a truly Arab screen epic. He was determined to create a film spectacle about nothing less than the life of the Prophet Muhammad and the birth of Islam in the 7th century. He intended the film as a bridge for understanding between Islam and the West. But it would prove extremely difficult to make, and faced a backlash in many parts of the Muslim world — and was even linked to a violent event in Washington, D.C.
"Being Muslim myself who lived in the West, I felt that it's my obligation, my duty, to tell the truth about Islam," Akkad said in an interview in 1976. "I thought I should tell the story that will bring this bridge." With money raised from Middle Eastern sources, Akkad set to work on a Quranic film on the same scale as biblical Hollywood spectacles like The Ten Commandments and Ben-Hur. He began filming in late 1974. To make his movie accessible to both the Islamic world and the West, Akkad shot it simultaneously in two versions, Arabic and English. The Arabic version featured some of the biggest stars of Muslim cinema. 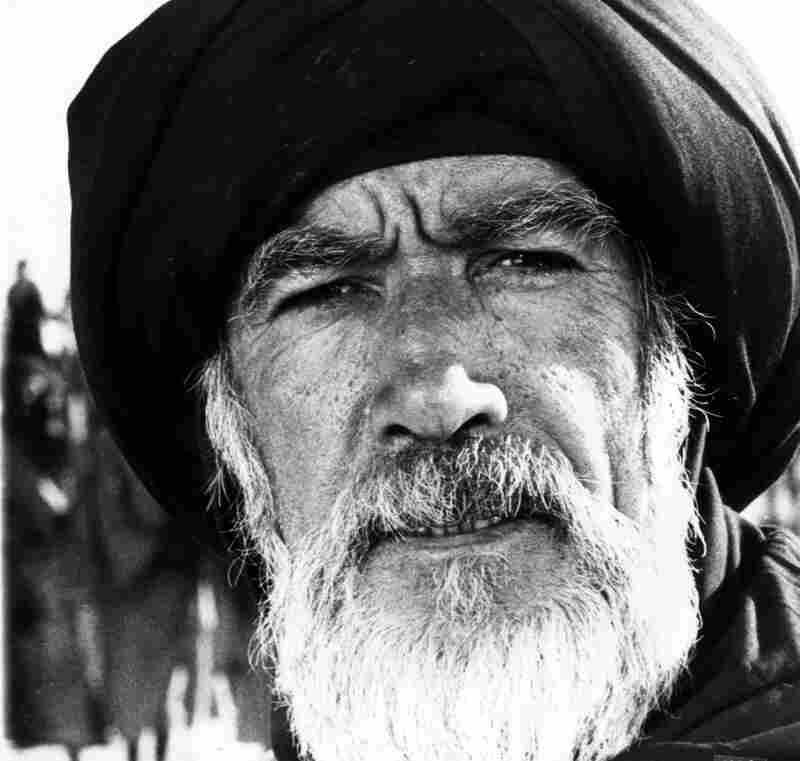 The English version, which received an Oscar nomination for Best Original Score, starred Anthony Quinn, playing the prophet's uncle Hamza, and Irene Papas as Hind, a Meccan woman who long opposed the prophet's forces but eventually became Muslim. There was a major challenge, though: Images of the Prophet Muhammad are forbidden in Islam. So the main character is never shown. "Not only do you not see Muhammad, you never even see his shadow," Quinn told People magazine. The prophet's presence is suggested when other characters speak to the camera directly, as if to a vision of revelation. They repeat the prophet's words. "To figure out a way to have the prophet become a person without showing him — it was brilliant," says Islamic scholar Khaled Abou El Fadl, a close friend of Akkad. "It was genius." Akkad wanted viewers "to feel the prophet as a human being, but respect the fact that most Muslims don't want the prophet to be personified by an actor or another," Abou El Fadl says. London-based actor Garrick Hagon played Ammar, one of the prophet's companions. "At that time, we didn't know much about Islam," he says. "Muhammad was a name, and that was about all. So it was all pretty much of a revelation." The vision Akkad presents in the film is of Islam as a great world religion in harmony with other spiritual traditions. "God has spoken to us before through Abraham, Noah, Moses," one character says. "And through Jesus Christ!" 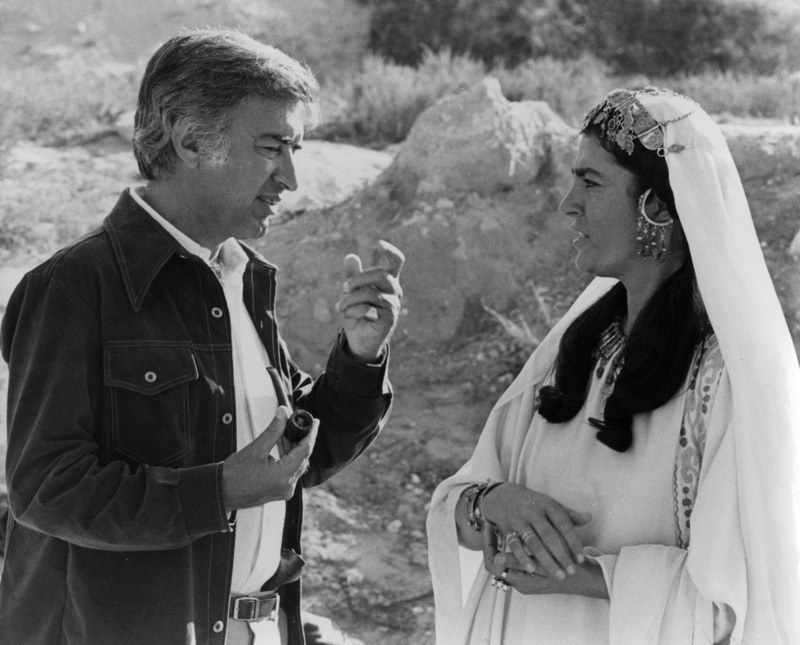 Director Moustapha Akkad (left) with actress Irene Papas during the filming of The Message. The film depicts the life of the Prophet Muhammad. In a key scene, Muhammad's followers are interrogated by the Christian king of Abyssinia and must justify their beliefs under pain of death. "Muhammad teaches us to worship one God," one says. "To speak truth. To love our neighbors as ourselves." Moustapha Akkad's son, Malek Akkad, says this message of unity was important to his father. "That was definitely the scene that he would point to most often as his favorite scene," he says. "What he was trying to achieve in that film is that we're really not far apart in these beliefs." But the filmmaker knew he faced critics. The script was vetted page by page by Islamic scholars in Cairo. The prophet's name was eventually removed from the original title — Mohammad, Messenger of God — and the film was renamed simply as The Message. After filming was underway in Morocco, Saudi political pressure cost Akkad his expensive Moroccan sets and locations. So he moved filming to Libya, with the controversial support of Libyan leader Moammar Gadhafi. "My father was of one mind, that he was going to finish this film," says Malek Akkad. "And so where he could get assistance from, he did." Controversy mounted. The Cairo scholars who had initially approved the shooting script withdrew their support and called the completed film, which was released in 1976, "an insult to Islam." More backlash followed and several countries banned the film. 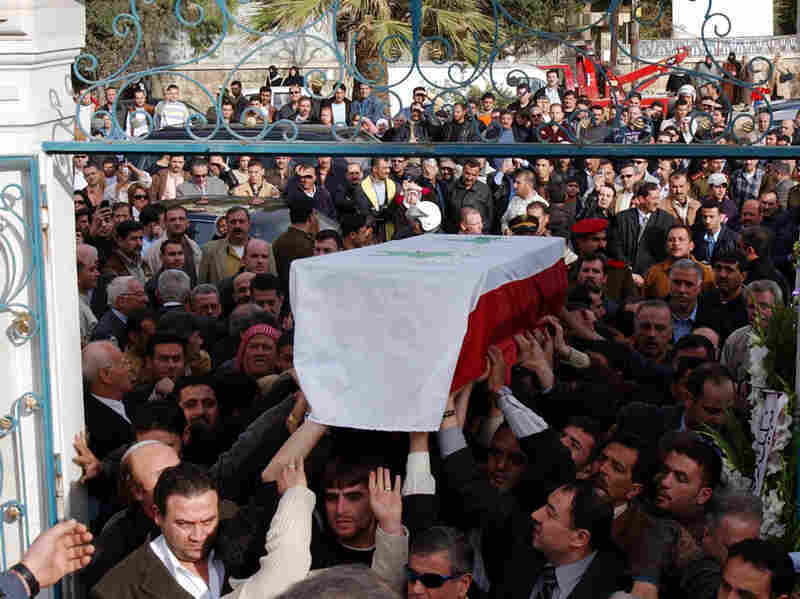 Mourners carry the coffin of filmmaker Moustapha Akkad in Aleppo, Syria, on Nov. 13, 2005. Akkad and his daughter Rima were killed in a suicide bombing in Jordan. "He was confounded by the controversy that exploded around the movie," says Abou El Fadl. "It was banned all over. Banned in Saudi Arabia, in Kuwait. Banned in Egypt." In the U.S., things turned tragic. In 1977, members of the Hanafi movement, a militant black nationalist Muslim group, stormed several buildings in Washington, D.C., taking hostages and killing two during a three-day siege. The Hanafi demands included banning The Message, which they deemed sacrilegious. "I'm sure they had not seen the film," says Abou El Fadl. "As Moustapha described it, it's a sign of the tragedy of our cultural weakness." Years later, tragedy found Akkad again. In 2005, he was injured and later died and his daughter Rima was killed in a suicide attack at a Jordanian hotel where they were attending a wedding. It was part of a wave of al-Qaida bombings in Amman, the capital. "It's as if some demonic power was mocking all our dreams," says Abou El Fadl. "Because Moustapha represented hope." Akkad's son Malek clings to that hope. "He lived the life of five men, literally. So in the scheme of things, that gives me some comfort," he says of his father. "My sister, of course, was hand in hand in that. And that's really, for me, the much darker side of this." In the West, Moustapha Akkad isn't remembered for The Message. He's best known as the executive producer of the Halloween series of slasher films, a mantle that Malek has since assumed. But 40 years on, The Message is a touchstone in the Arab world, where it has circulated widely in pirated editions. Malek is restoring the film for a high-definition rerelease. "I think Moustapha is going to enter the history books as a hero and a pioneer," says Abou El Fadl. "If we could fast-forward 100 years from now, we would be amazed."